In a burst of last-minute uploading providers dumped documents for almost 300 schemes onto the Disclose website in the days prior to the December 1 supply deadline. Disclose currently lists documents for 466 retail schemes covered by the Financial Markets Conduct Act (FMC) compared to just 167 in the week prior to the compliance cut-off date. Of the 466 FMC-compliant schemes, just over 200 are classed as ‘managed funds’ with the remaining ‘other’ category comprising a motley collection of 262 property and forestry operations as well as odd-one-out, the ANZ-run Bonus Bonds. The 204 ‘managed funds’ also cover a gamut of options including: KiwiSaver (30); 37 superannuation funds (mainly retail and UK pension transfer products); 81 employer super funds, now renamed as ‘workplace savings’; and, the ‘other’ category housing 62 broad market retail investment funds. Therese Singleton, AMP Services general manager, said the industry had put in a huge push to re-document products for the FMC age. Singleton said AMP, which ultimately tabled documents for 12 schemes on Disclose (the figure doesn’t include the two AMP Capital schemes), took the opportunity to rationalise and simplify its product range during the regulatory change-over period. Following the FMC-inspired rethink, AMP discontinued two products (including an amalgamation of the old Axa ‘Assure’ platform into the AMP Investment Trust) and completely overhauled disclosure documents for a host of others in its vintage range. She said translating what in some cases were decades-old product docs into modern FMC-ready QFUs (quarterly fund updates) was probably the most difficult part of the process. At the same time, AMP simplified its underlying product range, bringing them all under a single supervisor (Guardian Trust), for example, rather than the previous spread of three trustees. During the lead-up to FMC AMP did launch at least one new major product – a qualifying registered overseas pension scheme (QROPS) included in the group’s NZ Retirement Trust scheme – but Singleton said the scope for further innovation was limited at the moment. “If you look at the NZ retail market it has been the ‘tale of KiwiSaver’,” she said. 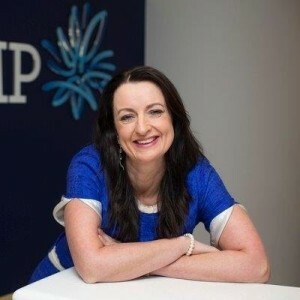 However, Singleton said a flexible scheme trust design would enable AMP to “create from within” for any future products rather than launching new schemes. While most of the industry has cleared the first hurdle she said there was still “a lot of work to do” for providers, particularly with the QFUs. She said the FMC brings the NZ retail investment market up to international standard with consumers now afforded greater protection and access to a full range of comparable fund information. “Although there’s nothing in the legislation than can make consumers more interested in their investments,” Singleton said. As reported last week, the Financial Markets Authority (FMA) approved just under 70 managed investment scheme licences in time for December 1 with QROPS provider, Britannia, one of those sneaking in at the death.